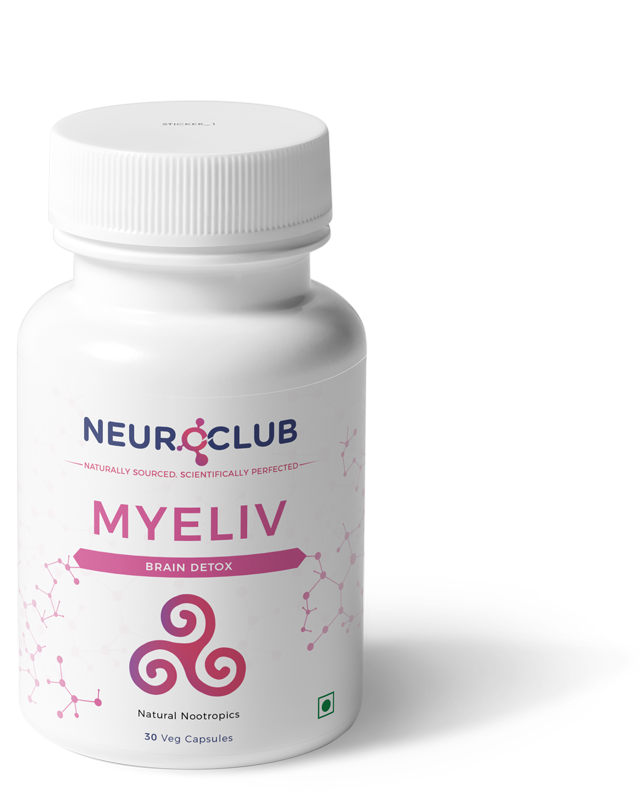 Myeliv protects the insulation of the connections between neurons that get thinned by alcohol and processed foods. 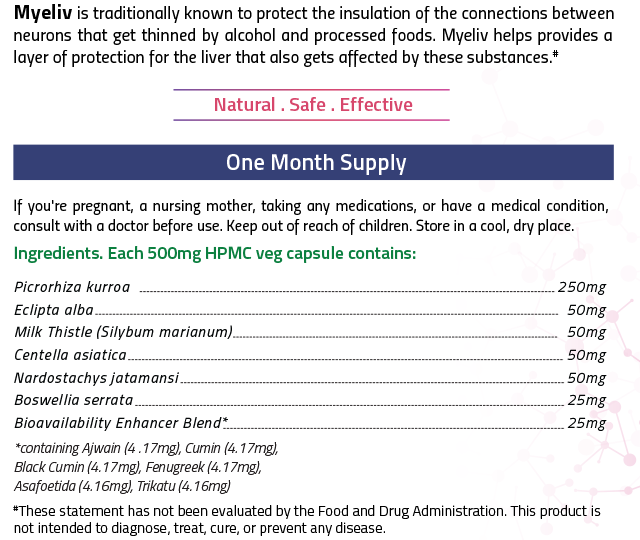 Myeliv also provides a layer of protection for the liver that also gets affeted by these substances. The myelin sheath around the wiring in the brain is affected by alcohol each time we drink. Additionally, the cells of other organs like the kidney and liver also get eaten up by alcohol when we drink. The ingredients in Myeliv help protect the myelin sheath and the other organs from these effects as much as possible. Degradation of Myelin Sheath resulting in neuronal connectivity issues that cause memory and anger issues. Hangover symptoms including headache, nausea, vomiting, drowsiness, fatigue and body ache. Take 1 tablet daily to protect and rejuvenate the liver and brain. Take 1 tablet before consuming alcohol to prevent hangover symptoms. 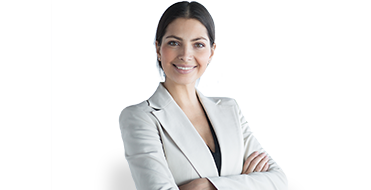 Myeliv is a 100% natural product and there are no known side effects if taken as directed. 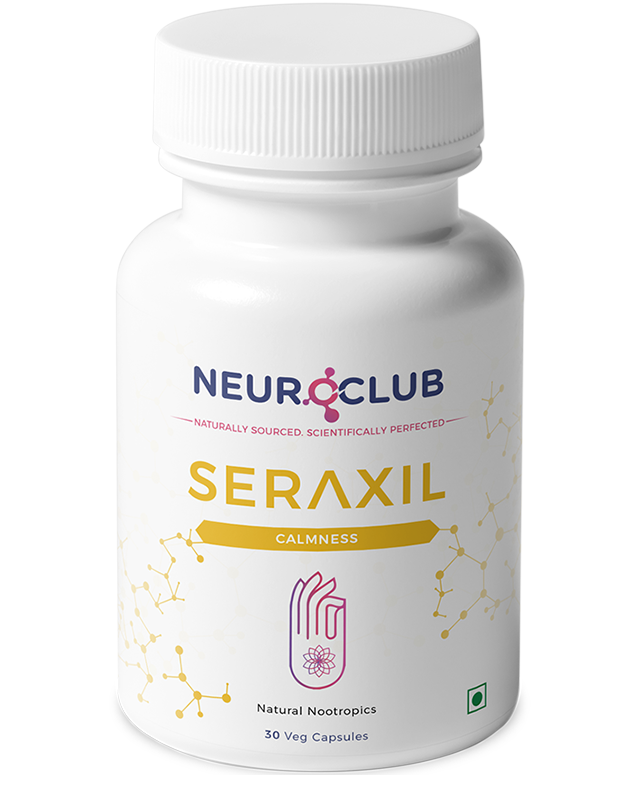 Eclipta Alba, Centella Asiatica (Gotu Kola), and Boswellia Serrata have been shown in clinical studies to have neuroprotective effects. Picrorhiza kurroa (Kutki), Milk Thistle, and Nardostachys Jatamansi have been shown in clinical studies to have significant hepatoprotective (liver-protective) effects. Is alcohol bad for the brain? Does this make me immune to the bad effects of alcohol? No, this is not a green light to consume all the alcohol you want, especially alcoholism. But it does help counter some of the permanent ill effects if you do drink, and it also helps with hangovers. Is this only for alcohol drinkers? No, Myeliv is formulated to protect against generally unhealthy consumption habits including eating heavily processed or junk foods. Does this also help with hangovers/vomiting next day? 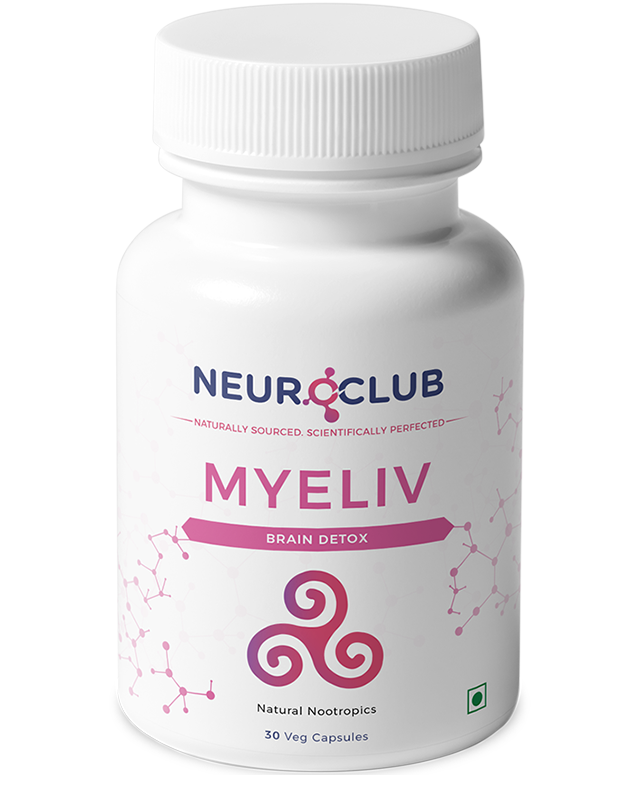 Yes, in addition to protecting the brain’s long-term health, Myeliv is also formulated for hangover relief. Does this also protect the liver? Yes, in addition to protecting the brain, Myeliv contains hepatoprotectives that mitigate liver cirrhosis.